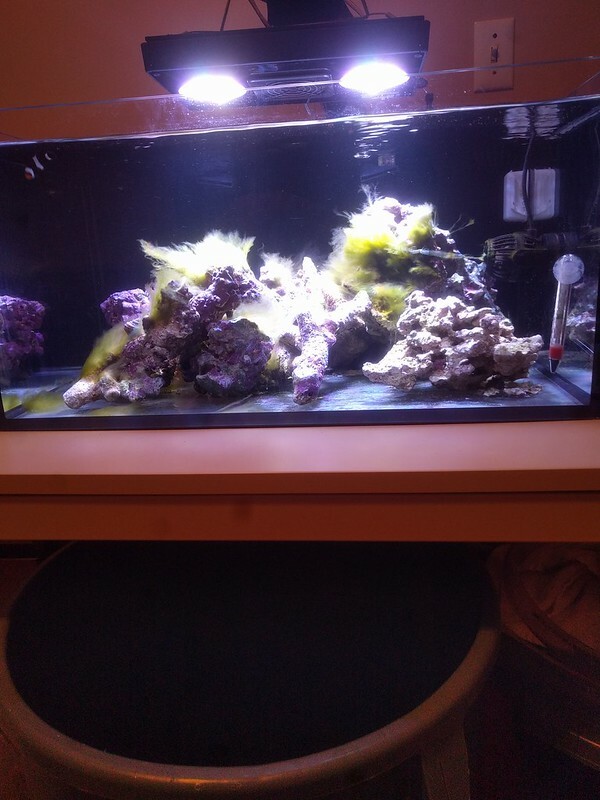 The tanks seem well built... Good look and I will look forward to some pics. I haven't seen many 25 lagoons either, but they look like a sweet tank. 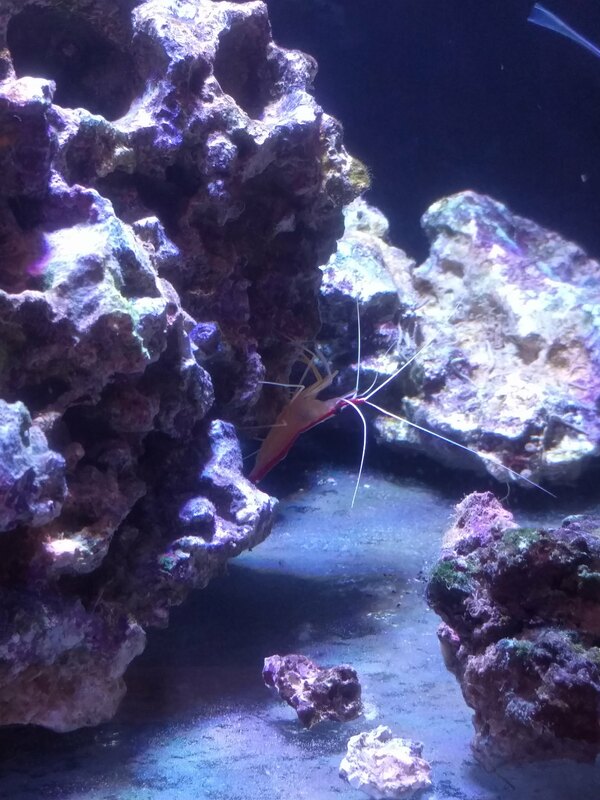 On Saturday I went and picked up ~30lbs of live rock which I got to cherry pick out of about 100 lbs worth from someone breaking down their tank. 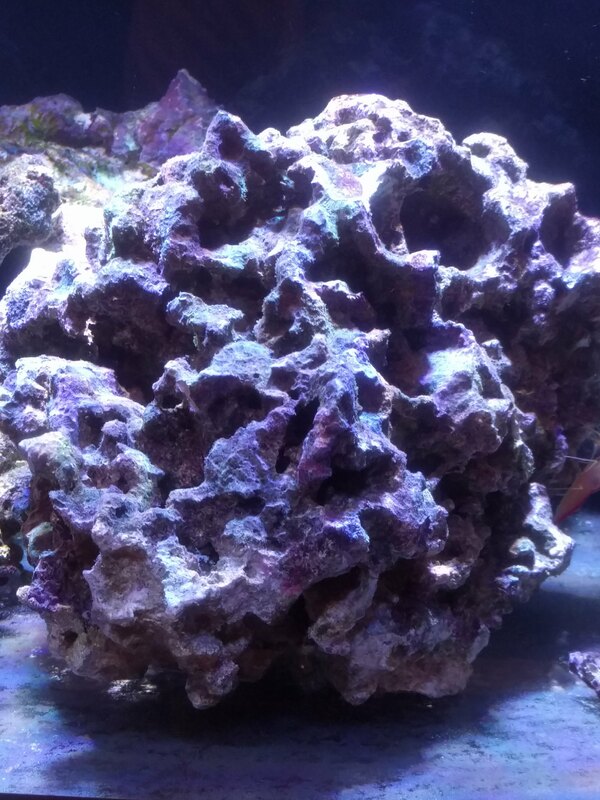 Nice looking rock which had been in his system for 3 years. Also got a tunze osmolator from the same guy - could not resist. I've only ever had simple float switch top offs in the past - this is so much nicer. Here are a couple picks from day zero. Pics do seem to be posting. 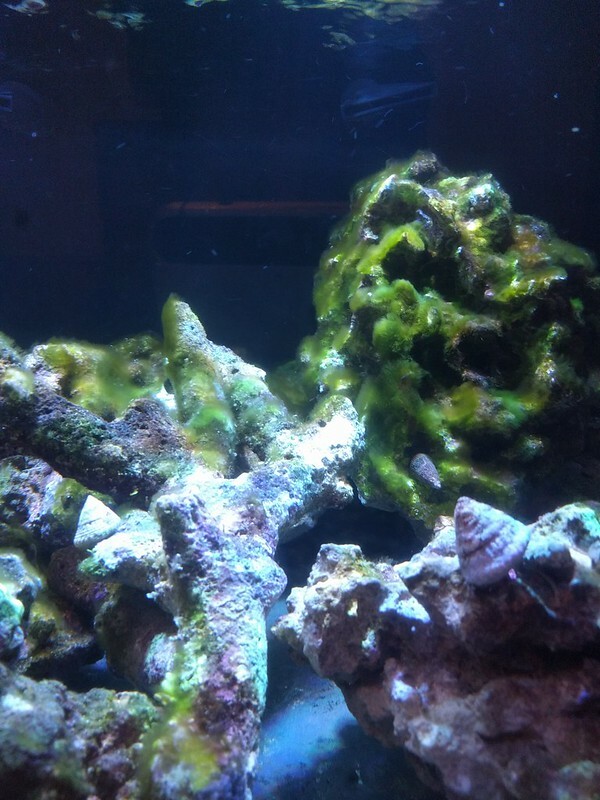 1 Week in added some livestock and getting some nice new tank algae growth. You can use google photos, you just need to use the "share" link on the photo in photos.google.com, then "get link", then click the link, in the new window, click the photo so it goes fullscreen, then right click and use "copy image address". Then you'll want to tweak the last digits on the link, which specify the height and width of the image to be shared -> w701-h934-no -> w800-h450-no (for wide, for tall, you can use 450x800 or whatever you want). This was just an example from my experience. You can see in my thread here how I edited the photo links in google. 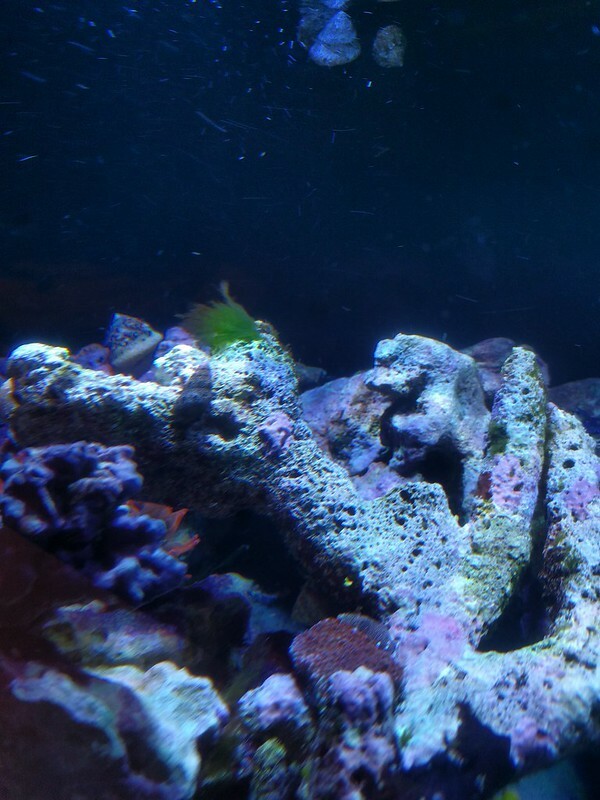 Are you going to use chemical filtration? 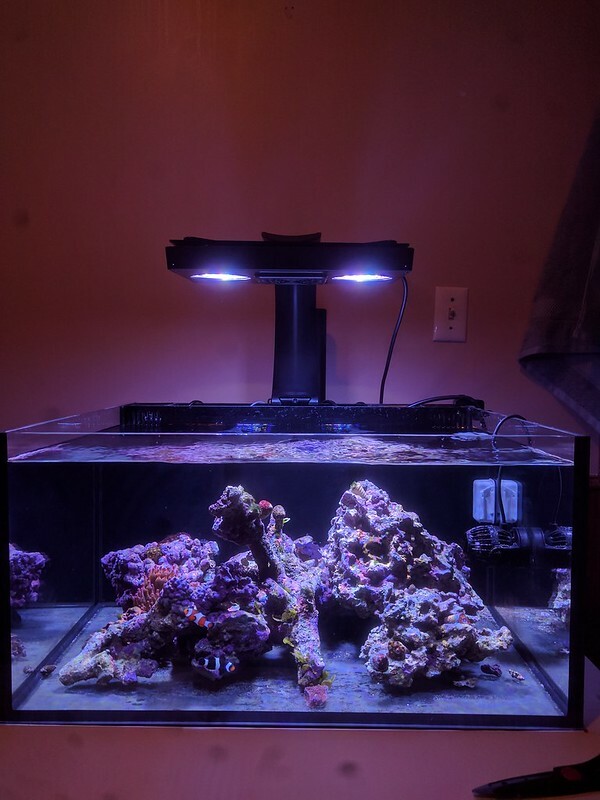 Just curious as I have a 20 gallon nuvo fusion and currently debating filtration. I am also currently debating this. In the past I've tried to go the natural route and not use Carbon/GFO etc. but everyone seems to use chemical media on their Nanos. For now I am going to hold off but I may get some InTank media baskets and run something down the line. 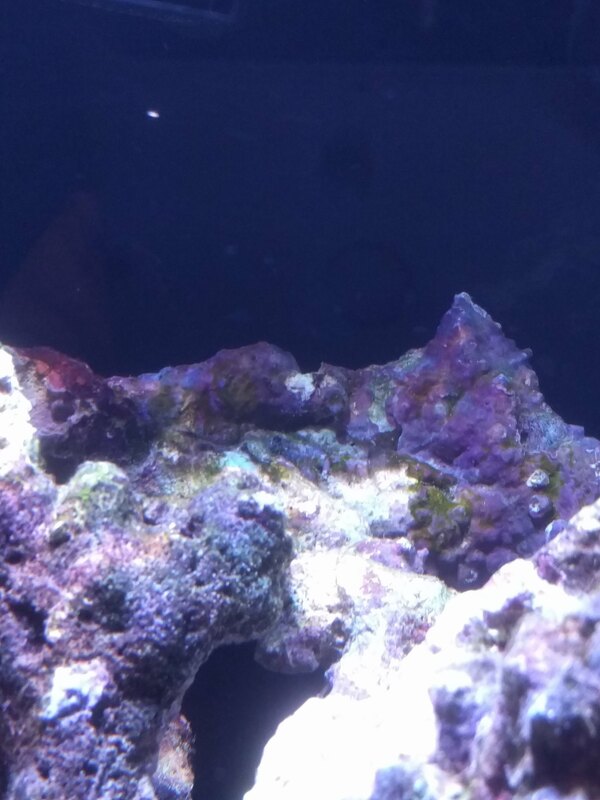 Based on my week 2 hair algae explosion I think I probably inherited some nutrient problems from the LR I got. If I cannot get it under control i think I will turn to chemical filtration. 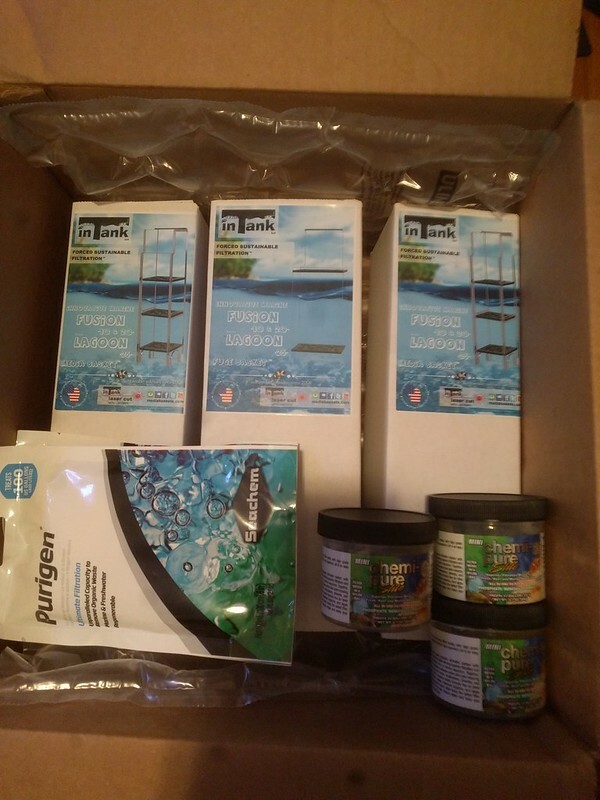 Well I just received my IM media baskets and I plan to use Chemipure and some filter floss I know there is another chemical that is recommended but I can't think of the name. 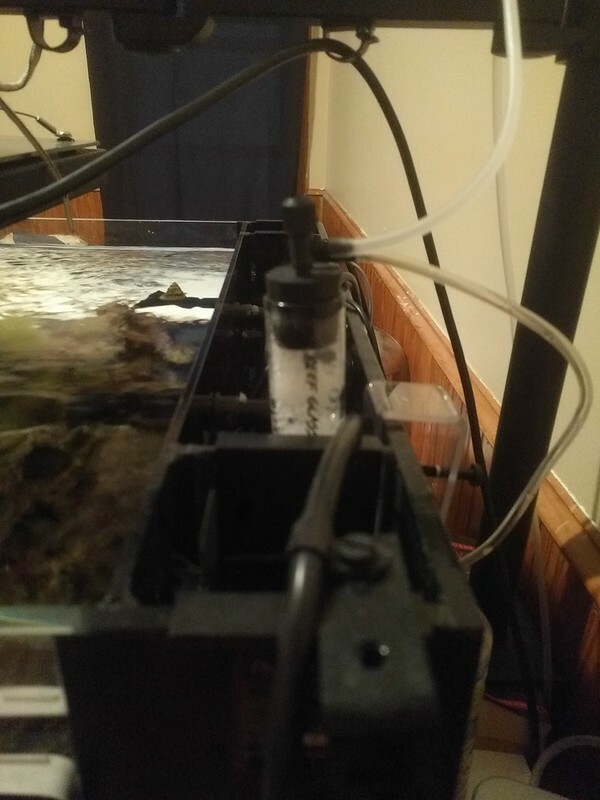 I'm running no chemical filtration, only skimming. 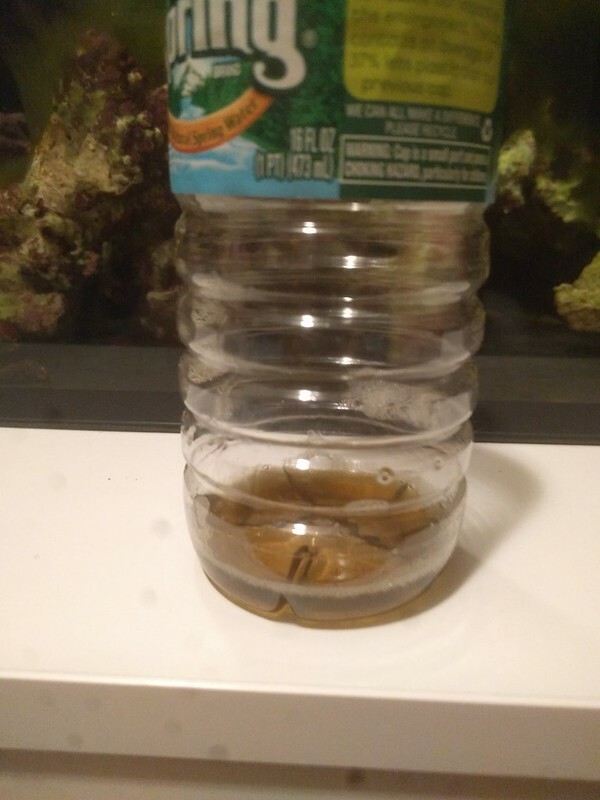 Was dosing vodka/carbon for a while and that worked out really well. 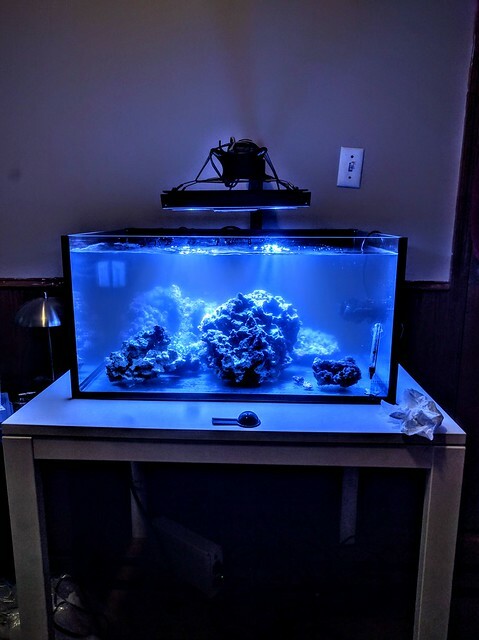 If you ever feel like talking nano reef with someone in person and seeing a tank that has been up for 2+ years, you're welcome to take the trek far up north to the rugged land of Queens. 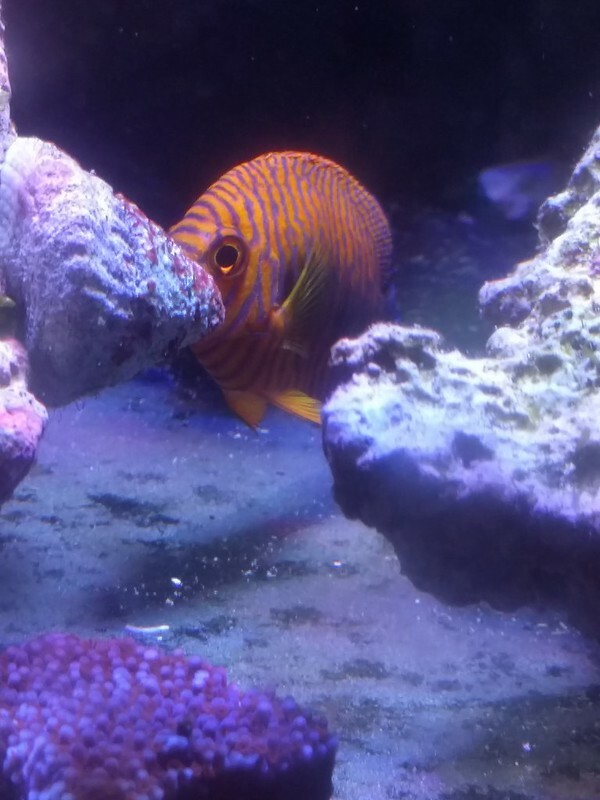 Here is my tank thread if you're curious. You are probably thinking of Purigen. 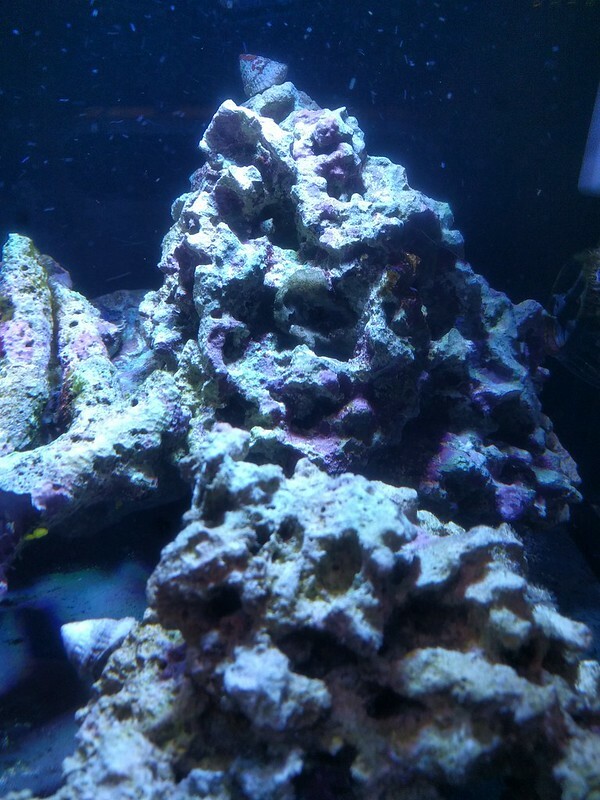 Filter Floss > Chemi Pure Elite > Purigen seems to be the most common filtration used in nano AIO's. 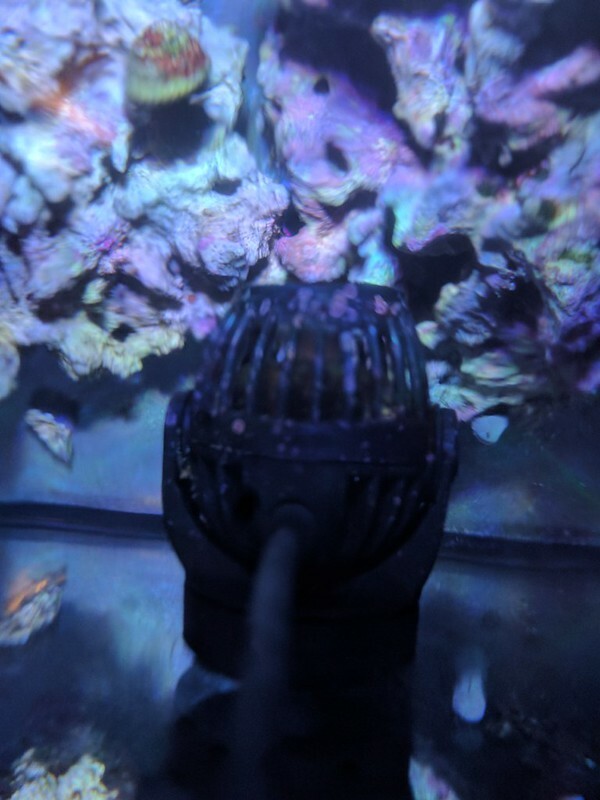 I used to run Chemi Pure Blue Nano but switched because I found that the little pods were way too small and the water wasn't directed through the media, but would just flow around it. 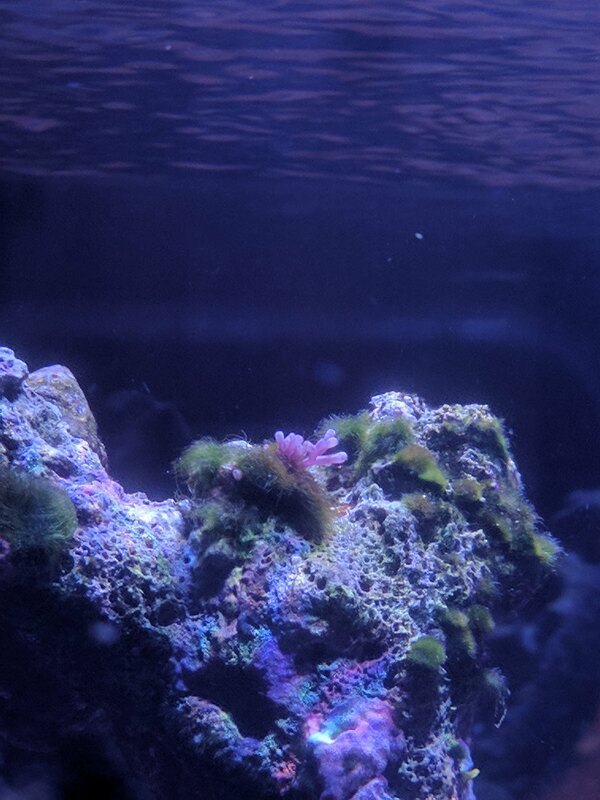 Once I switched to Chemi Pure Elite and Purigen my corals have started exploding and have never looked happier. Couldn't recommend it more. 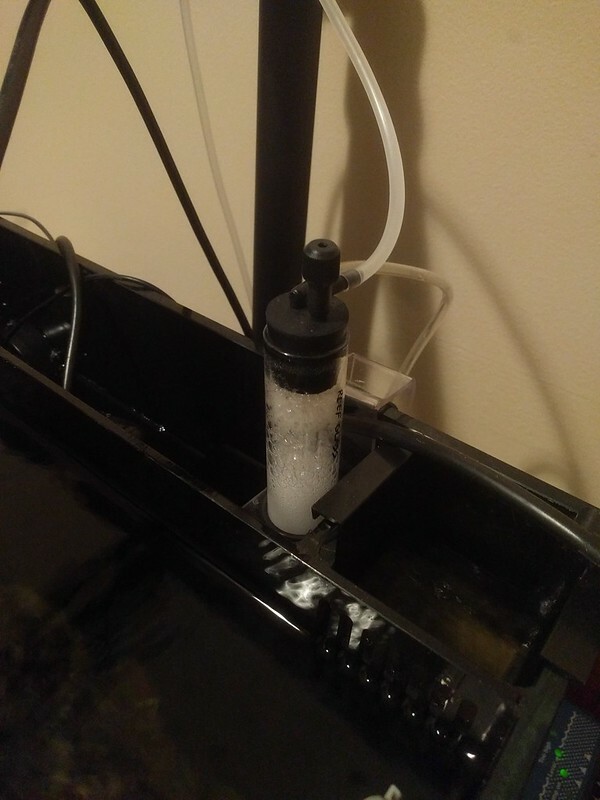 Got the new skimmer and it is tiny. Breaking it in now here are some quick pics. 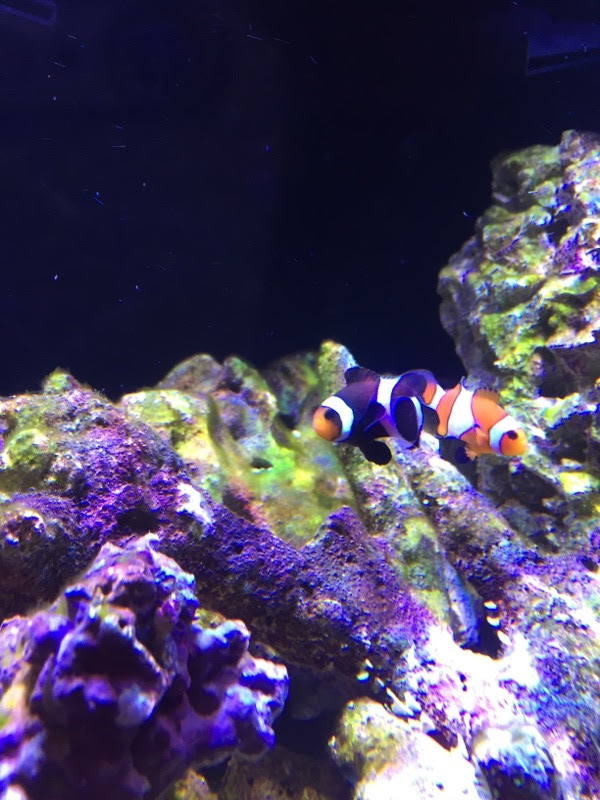 Also sadly lost one of my clowns over the weekend. Also got some inTank Media baskets yesterday. 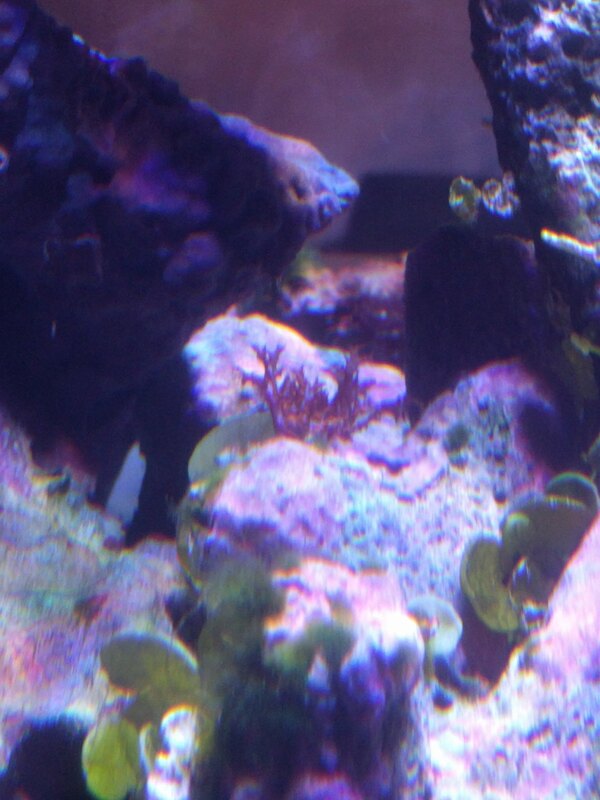 I saw my first reefs critters last night a mini brittle star and some pods. 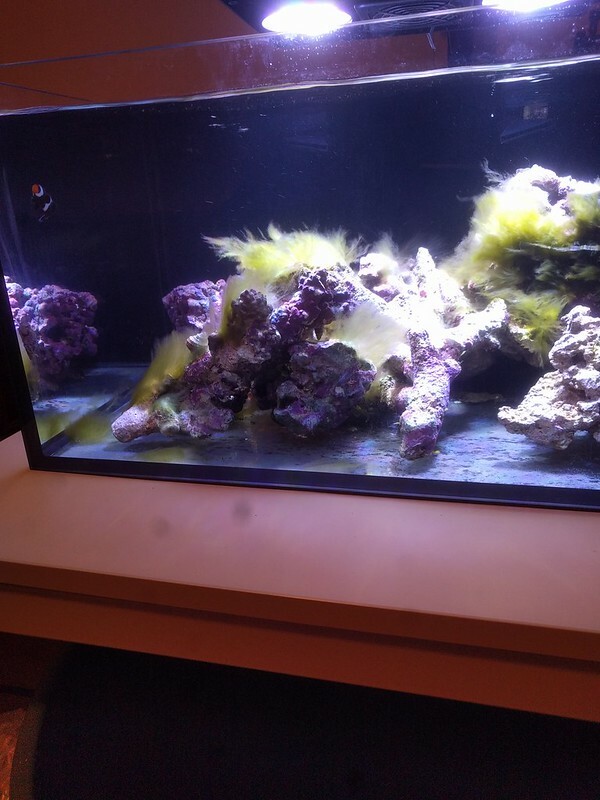 I'd remove as much of that hair algae as possible manually. Unfortunately once it's that long, usually the clean up crew will have a hard time with it. 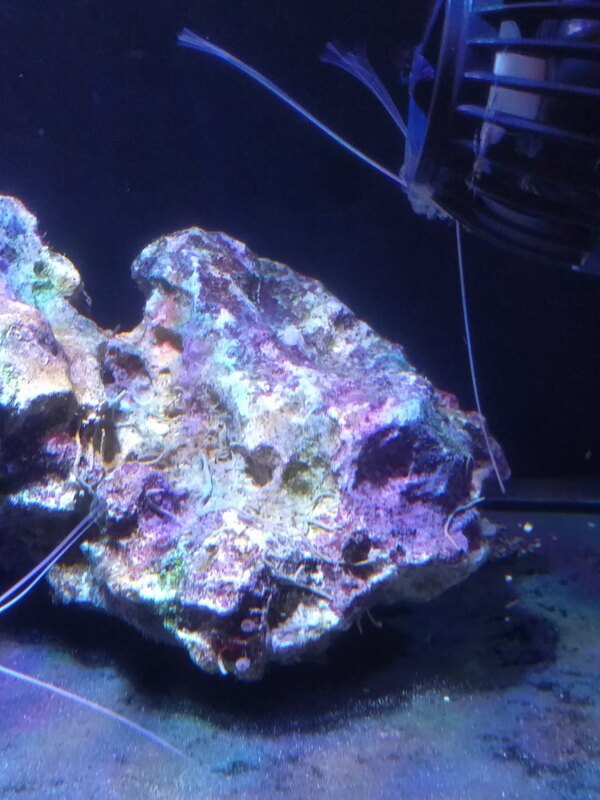 Tank is just over 1 month old now and the algae is getting under control. Not sure what this one is?? 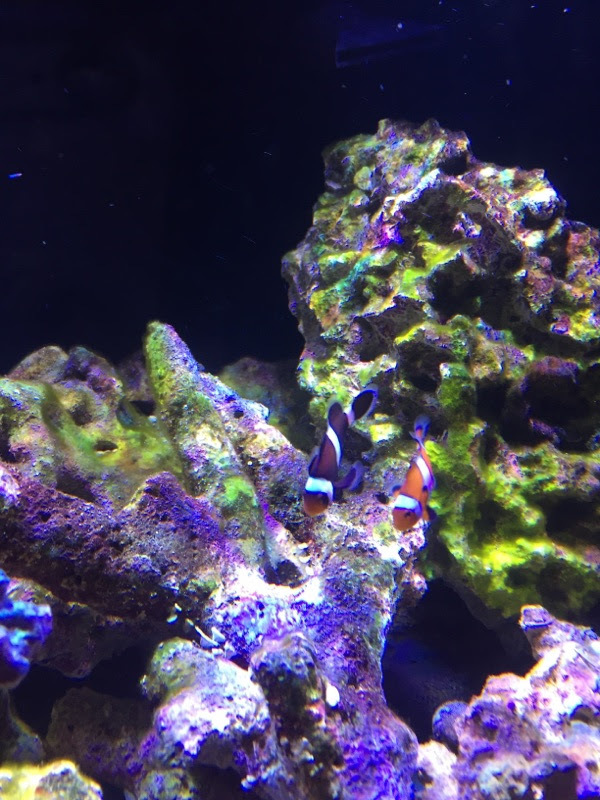 a sponge maybe? I agree with halymenia for the second.